Vaccines, Mercury & Dirty Money - A Message From Robert Kennedy Jr. Vaccines, Mercury & Dirty Money – A Message From Robert Kennedy Jr. Vaccines are big business. Pharma is a trillion-dollar industry with vaccines accounting for $25 billion in annual sales. CDC’s decision to add a vaccine to the schedule can guarantee its manufacturer millions of customers and billions in revenue with minimal advertising or marketing costs and complete immunity from lawsuits. High stakes and the seamless marriage between Big Pharma and government agencies have spawned an opaque and crooked regulatory system. Merck, one of America’s leading vaccine outfits, is currently under investigation for deceiving FDA regulators about the effectiveness of its MMR vaccine. Two whistleblowers say Merck ginned up sham studies to maintain Merck’s MMR monopoly. Big money has fueled the exponential expansion of CDC’s vaccine schedule since 1988, when Congress’ grant of immunity from lawsuits suddenly transformed vaccines into pay dirt. CDC recommended five pediatric vaccines when I was a boy in 1954. Today’s children cannot attend school without at least 56 doses of 14 vaccines by the time they’re 18. An insatiable pharmaceutical industry has 271 new vaccines under development in CDC’s bureaucratic pipeline in hopes of boosting vaccine revenues to $100 billion by 2025. The industry’s principle spokesperson, Dr. Paul Offit, says that he believes children can take as many as 10,000 vaccines. A 2009 HHS Inspector General’s report found that the CDC certified financial disclosure forms with at least one omission for 97 percent of committee members – and most forms had more than one type of omission. The same report stated that as many as 64 percent of committee members had potential conflicts of interest that CDC did not identify or resolve before certifying their forms. In addition to lucrative business partnerships with Merck, Offit holds a $1.5 million research chair, funded by Merck, at Children’s Hospital in Philadelphia. From this industry sinecure, he broadcasts vaccine industry propaganda and annually publishes books urging unlimited vaccinations and vilifying safe-vaccine advocates. The corruption has also poisoned CDC’s immunization safety office, the research arm that tests vaccines for safety and efficacy. In August 2014, 17-year CDC veteran Dr. William Thompson, who is author of the principal study cited by CDC to exculpate mercury-preserved vaccines from the autism link, invoked whistleblower protection, and turned extensive agency files over to Congress. Thompson, who is still employed at CDC, says that for the past decade his superiors have pressured him and his fellow scientists to lie and manipulate data about the safety of the mercury-based preservative thimerosal to conceal its causative link to a suite of brain injuries, including autism. Thimerosal is 50 percent ethylmercury, which is far more toxic and persistent in the brain than the highly regulated methylmercury in fish. Hundreds of peer-reviewed studies by leading government and university scientists show that thimerosal is a devastating brain poison linked to neurological disorders now epidemic in American children. My book, “Thimerosal: Let the Science Speak,” is a summary of these studies, which CDC and its credulous journalists swear don’t exist. Although Thompson’s CDC and vaccine industry colleagues have created nine patently fraudulent and thoroughly discredited epidemiological studies to defend thimerosal, no published study shows thimerosal to be safe. The common canard that U.S. autism rates rose after drug makers removed most thimerosal from pediatric vaccines in 2003 is wrong. That same year, CDC added flu shots containing massive doses of thimerosal to the pediatric schedule. As a result, children today can get nearly as much mercury exposure as children did from all pediatric vaccines combined in the decade prior to 2003. Worse, thimerosal, for the first time, is being given to pregnant women in flu shots. Furthermore, CDC’s current autism numbers are for children born in 2002, when kids were still getting thimerosal in their pediatric vaccines. The best science suggests that thimerosal’s complete removal from vaccines is likely to prompt a significant decline in autism. For example, a 2013 CDC study in JAMA Pediatrics shows a 33 percent drop in autism spectrum disorder in Denmark following the 1992 removal of thimerosal from Danish vaccines. 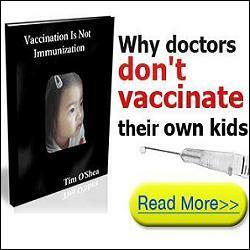 That paper is among 37 peer-reviewed studies linking thimerosal to the autism epidemic. Thimerosal has precipitated a journalistic as well as a public health crisis. Big Pharma pumps over $3.5 billion annually into TV, newspapers and other advertising, targeting news departments, which have become vehicles for pharmaceutical sales and propaganda platforms for the industry. Television and print outlets feature spokespeople like Dr. Offit – without identifying their industry ties – while censoring criticisms of vaccine safety and excluding the voices of informed vaccine safety advocates. Busy journalists parrot the deceptive talking points dispensed by government and pharma officials rather than reading the science themselves. Unable to argue the science, they bully, pillory and demonize vaccine safety advocates as “anti-vax,” “anti-science” and far worse. The unwillingness of the press to scrutinize CDC has emboldened both industry and agency to follow the lowest paths of easy profit and bureaucratic preservation. The measles scare was classic disaster capitalism, with media outlets dutifully stoking public hysteria on editorial pages and throughout the 24-hour broadcast cycle. With Dr. Offit leading the charge, CDC, drug makers and industry-funded front groups parlayed a garden variety annual measles outbreak into a national tidal wave of state legislation to ban religious and philosophical vaccine exemptions. The national media frenzy over 159 measles cases left little room for attention to the the autism cataclysm which has debilitated 1 million American children since the pandemic began in 1989, with 27,000 new cases annually. CDC refuses to call autism an “epidemic.” In defiance of hard science, and common sense, CDC and Offit have launched a denial campaign to gull reporters into believing the autism plague is an illusion created by better diagnosis. Big Pharma is among the nation’s largest political donors, giving $31 million last year to national political candidates. It spends more on political lobbying than any other industry, $3 billion from 1998 to 2014 – double the amount spent by oil and gas and four times as much as defense and aerospace lobbyists. By February, state legislators in 36 states were pushing through over 100 new laws to end philosophical and religious vaccine exemptions. Many of those state lawmakers are also on the industry payroll. You can see how much money bill sponsors from your state took from Big Pharma on http://www. maplight.org. To educate yourselves about CDC corruption and the truth about vaccine science, I hope you will read “Thimerosal: Let the Science Speak” and download the important movie “Trace Amounts” and insist your legislators watch it before voting on any of these bills.